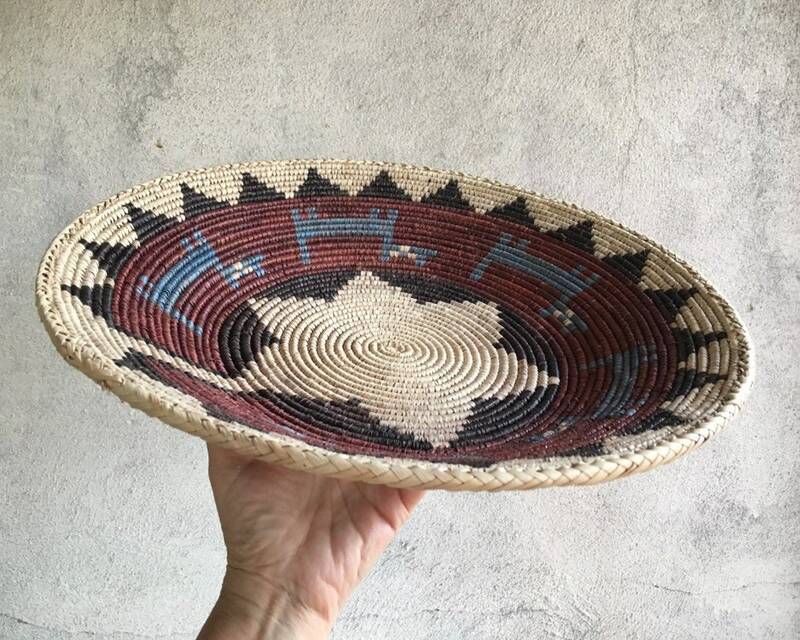 This coiled basket has a great mix of earthy rust and beige and then that sky blue, making it a great Southwestern piece, as we know the allure of the Southwest is our sky. 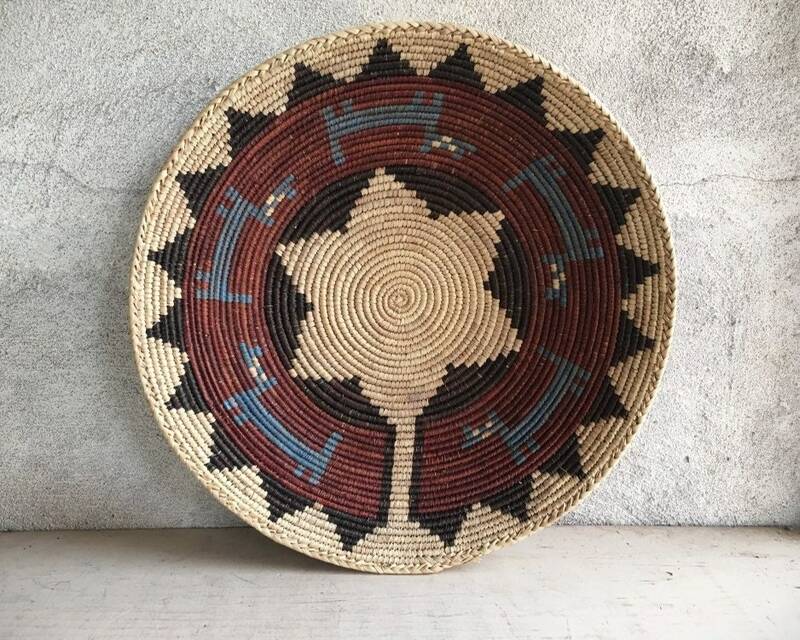 The basket has a geometric design and would look great on a gallery wall. 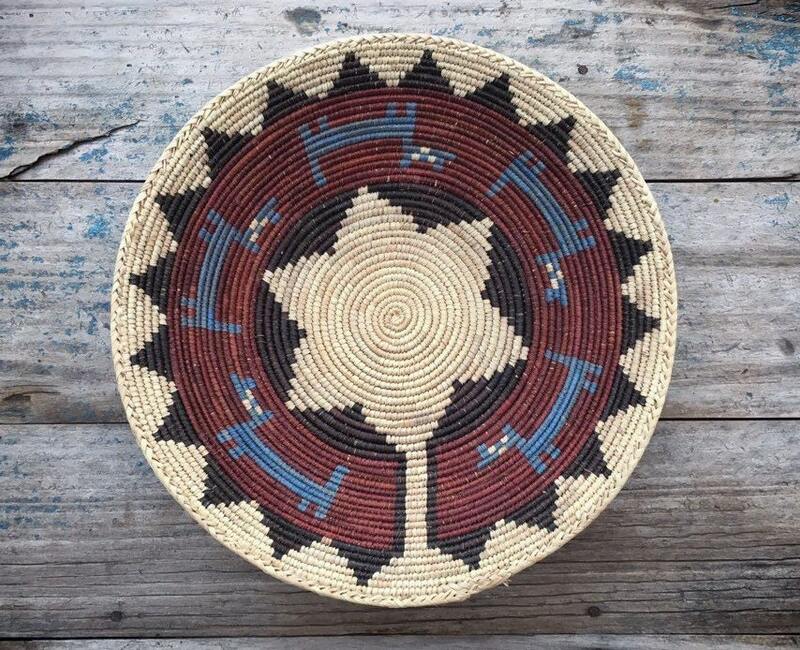 It is styled after a Navajo basket and exudes charm and primitive elegance. Measures 13-1/2" in diameter and about 2” tall. There is no mechanism by which to hang the basket. 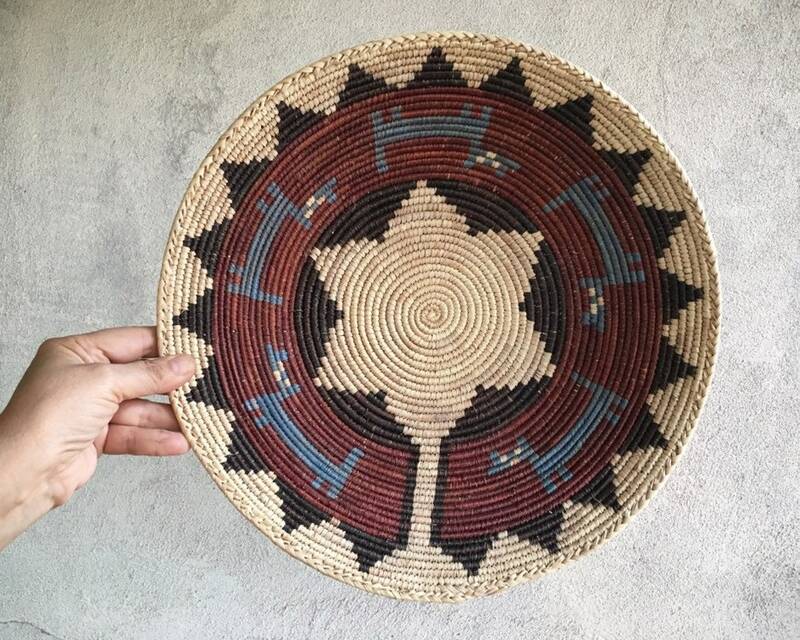 You could place it in a wooden or metal easel, the kind used to display plates. Or, you could very, very carefully thread fishing line or thin twine through a seam in the back, but do so at your own risk. It is not heavy, at about nine ounces unpacked. In good condition. 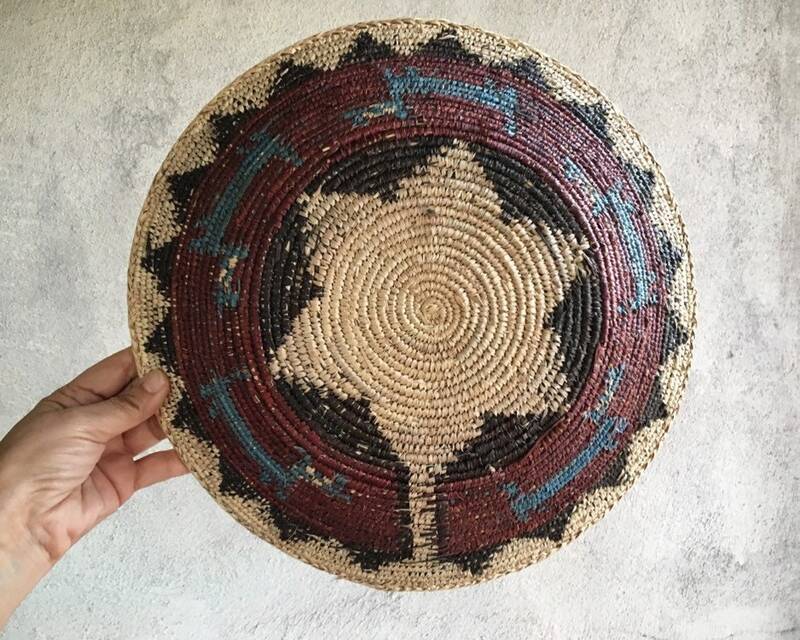 Just a beautifully woven wall basket that presents as a work of art! Quick delivery. Very happy with packaging product arrived in good condition.